Thanks to the power of the internet, what was once available only to the wealthy and those good with spreadsheets is now available to everyone. Personal Capital is a free, online, financial account aggregator that gives you an instantaneous full spectrum view of your financial situation. If you’re like me, you have multiple accounts spread across multiple financial institutions. I bank with USAA, invest with Vanguard, the Savings Deposit Program and the Thrift Savings Plan, spend with Chase credit cards, and have dabbled in peer to peer lending. Instead of logging into half a dozen accounts, I can now log into a single account and see my investments growing. PC was founded in San Francisco in 2011, in a classic American blend of technology and financial know-how. In January 2014, less than 3 years after their founding, CEO Bill Harris reported $350 million in assets under management. Mr. Harris is the former CEO of Intuit (who owns Mint.com) and PayPal. He expects to grow PC to $1 billion of assets under management by the end of 2014. 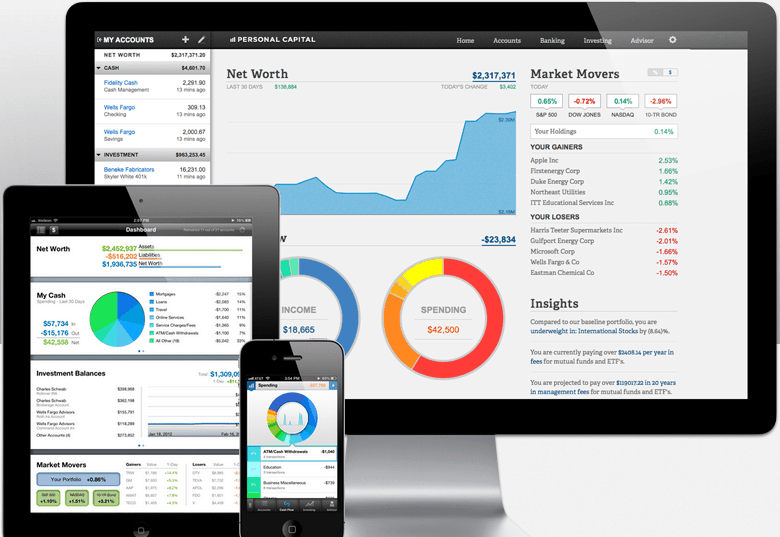 By utilizing low cost online tools and combining it with experienced human advisors, Personal Capital has established itself as the premier digital wealth manager. This is where you can tell Personal Capital hired some of the best graphic designers in the San Francisco Bay Area. 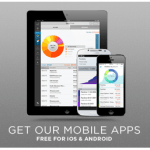 Every section of the mobile apps and website provide beautiful, clear to read, colorful charts and data that show you exactly what’s happening with your finances. 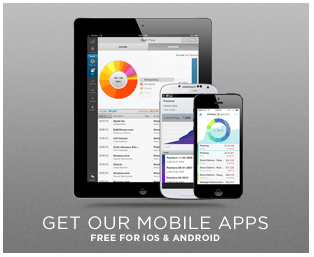 The mobile apps that are included for free with your account are the easiest financial apps I’ve ever used on my Android phone and iPad. Again, beautiful, easy to use design shows me my entire portfolio, from the TSP to my Vanguard Roth IRAs. 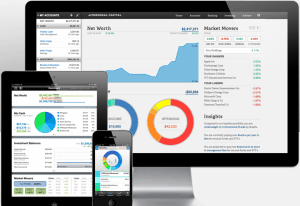 The dashboard when you log in provides an immediate reflection of your assets and liabilities. You can see your net worth graph over the past thirty days and there’s an interesting sidebar that compares the performance of a variety of indexes against the “You-Index.” Basically, how did your investments perform against a few benchmarks over the past month? I find this to be a little less useful than “how did my invests perform over the past 10 years,” but it’s a step in the right direction. How many have you found yourself asking: Is this the most optimal investment for what I want? Am I properly balancing risk and reward? Before, you would have had to pay a few hundred dollars for an investment advisor to look at your portfolio. Expensive and time consuming! 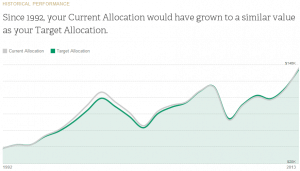 When you have money spread across Roth IRAs, Roth TSPs, the SDP, and other financial institutions, it can be difficult to ensure that your asset allocation is in line with your investment plan. Previously you would have to create a spreadsheet to add up all your accounts and figure out what percentage to invest in each asset in each account. What a pain! 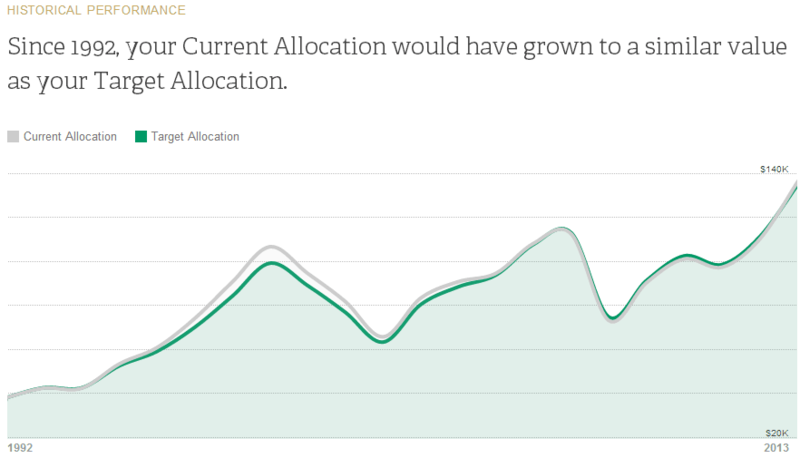 PC takes that pain away with the asset allocation monitoring tool. Now you can look at all your accounts instantly and make sure your money is where you want it. No one takes your privacy and security more importantly than PC. Their entire system is protected by military grade encryption (256-bit AES, to be specific), and their log on system requires two factor authentication. If someone tries to use your account from a computer you’ve never used before, they’ll have to go through more authentication protocols. Additionally, PC does not have direct access to your account. They only pull data and cannot buy, sell, or trade any of your assets. That means that even if a hacker did get access to your PC account, they couldn’t actually do anything other than see where your funds where invested. Maybe he’s just looking for some investing ideas! We NEVER rent, sell or trade your personal information to anyone. Ever. Before you get where you want to go, you have to know where you are. PC provides you with that instant snapshot of where you are and will help you get where you want to go. The beautiful interface, useful mobile apps, status dashboard, and investment checkup tool are all great reasons to sign up today. 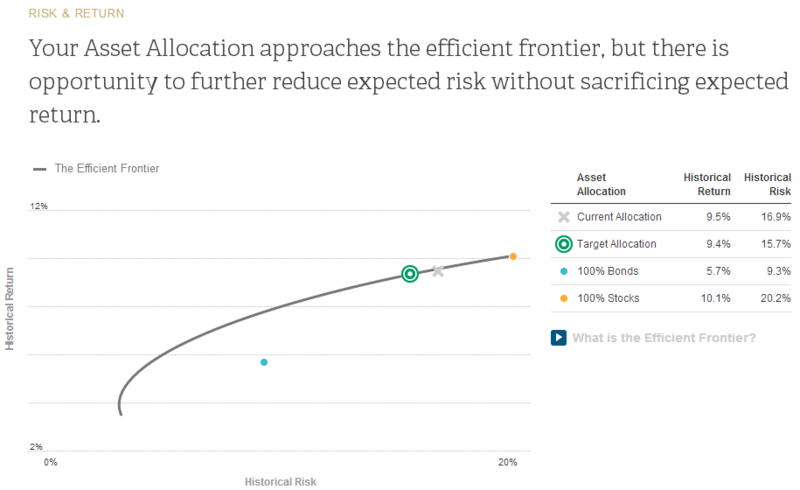 The ability to monitor your asset allocation across all your accounts helps me sleep easy at night, knowing that my money is invested where and how I want it. And finally, PC’s insistence on the best security and privacy means I don’t have to worry about online threats. In less than a minute, you can sign up for the free money management tools available through Personal Capital and start working towards financial independence today. What are you waiting for? This is a great review, we just did a review of Personal Capital on our site too and I couldn’t believe how much information they give you for free. Almost seems too good to be true and I agree that the mobile apps for this one is the easiest financial apps for me too! Seems like a really cool tool to have. I’ll have to check it out. Thanks for the tip.